First of all, I hope everyone in the colder parts of the world is doing well and keeping safe and warm. Hang in there, Spring isn't too far off. After doing this site for several years, there are some questions that come up much more than others. Barking, separation anxiety, help for the Coton coat, and what to feed our dogs are definitely the most common concerns. I think there's enough information on the web site to address these questions. I thought I'd share two of the more common questions I get about general training methods. 1. Should you use reward treats to train your dog? Many of you know that I’m a big fan of Doggy Dan's training because his approach is very common sense and 100% humane; he loves dogs and it shows. Here are some things I learned from him about using treats as rewards when training. First of all, there’s the question of whether to use food at all when training your dog. There is one school of thought that says if you use food for training, your dog will only respond to you if you have food. According to Doggy Dan, this just isn’t true. He suggests gradually phasing the food out after your dog has learned the command. Basically, you just start giving the food treat from inside your hand so they can’t see it. Then slowly start to reward only every 2nd and then every 3rd time. Eventually, space out the treats so they become very random. I would much rather teach my dog to respond with food than with fear or force. But if your dog is a finicky eater like many Cotons, you may have to experiment to find a treat that will motivate your dog. Even picky eaters will love some type of food. Vary the size of the food. If you give your Coton the same exact treat every time, eventually he/she will get bored and may not respond (unless you have a food monster like Luc who will eat anything anytime). Every once in a while throw in an extra special treat you know your dog will go crazy for. Wouldn’t a piece of grilled chicken or steak be more motivating than a dry biscuit? Now your dog will respond because he knows it just may be possible that his favorite treat will follow. Break up your dog’s favorite treat into several bites. To your dog, getting 6 pieces of steak is definitely better than 1 big piece. Be patient, it often takes months instead of days for complete success. If you are concerned about your dog eating too much, just reduce the amount of the treat from your dog’s regular meal times. You can also try healthy snacks like veggies (carrots are Luc’s favorite treats). Almost all dogs love to go for a walk – there’s just so much to do, see, and smell. 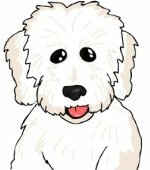 But what do you do when your Coton gets so excited that he/she starts barking or pulling on the leash? It’s not only embarrassing, but it can also be dangerous at times if things get out of control. Doggy Dan teaches that there are only 3 approaches available that you can practice to help your dog overcome stress or over-excitement when meeting other dogs on a walk. It's important to be tuned in to your dog so you can determine which method makes sense for you. Approach the other dog. Stay calm and act natural. You don’t want your dog to feel your stress and react to that. Stay far away. If you see your dog is already starting to get agitated and pulling or barking, walk in the other direction or give yourself plenty of room to walk past without them meeting. Calm your dog and then make a decision whether to meet the other dog. Your dog will learn that when he/she is calm good things happen like befriending other dogs. 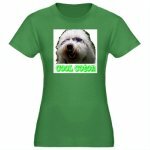 If you need help on ways to calm your dog please check out the Doggy Dan site while it's still only $1.00. He has very helpful videos to help you through.